Sue Morgan (editor); Routledge, London, 2006, 417p, ISBN 0-415-31810-6 £20.99 (Pbk). The Feminist History Reader features twenty-nine readings from the 1970s on, around the editor's view that four trajectories have characterized feminist historical theorizing: ‘Bringing the feminist subject into view’, ‘Deconstructing the female subject: feminist history and “the linguistic turn”’, ‘Searching for the subject: lesbian history’, ‘Centres of difference: decolonizing subjects, rethinking boundaries’, with a single reading in an ‘Afterword’. Twenty-three selections are individual readings, while six are sets of shorter readings each representing a debate. The ‘Introduction’ presents the Reader's purpose as guiding ‘the student of history’ concerning, ‘not… the historical “product” of feminist scholarship, but rather the main theoretical forms and directions it has taken… [its] internal debates and self-critical dialogue…’ (p. 2). Many of the authors and selections will be familiar to advanced readers and are well chosen to represent important ideas and developments. The six sets of shorter readings really do convey the flavour of vibrant debates, communicate the important issues underpinning these and encourage engagement by readers, and are particularly useful for teaching and discussion purposes. Clearly, each of the themes structuring the Reader has been important in feminist historical thinking, although there are additional areas which are not mentioned, surprisingly little discussion about how the four themes were arrived at and what alternatives were considered, nor consideration of the very different understandings of what theory ‘is’ which co-exist in feminist scholarship. The result is that the shape of the Reader has a rather ‘it is so’ feel, and given the openness with which other issues are considered in the ‘Introduction’, the absence of discussion here is a pity, as it could lead less advanced readers to (mistakenly) suppose that these four themes non-controversially cover the entire field of feminist theory in history. Regarding all such readers, the relationship of the included material to ‘the field’ is crucial in reviewing the contents. And so what is the relationship between the twenty-nine readings in the Feminist History Reader and the immense amount of feminist historical theorizing that these in some sense represent? As noted above, the large majority are single readings, with just six grouped selections of debates. The consequence is that the ‘un-debated’ readings come across as representing ‘a canon’ in feminist historical theorizing, although more advanced readers will know that these writings have been subject to debate every bit as passionate and at times rancorous as the six debates. Certainly Morgan's decision to focus the Reader on feminist historical theory, rather than what the ‘Introduction’ refers to as the ‘product’ of feminist historical inquiry, is interesting and addresses a lacunae in the teaching literature. In doing so, feminist post-structuralist theorizing (or rather, Morgan's take on this) is presented as having a pre-eminent place, while post-structuralist ideas are positioned (in my view mistakenly) as necessarily antithetical to a materialist approach to ‘real world’ matters, with the result that the cod ‘words and things’ binary that feminist scholarship generally has escaped from is in effect, if not intentionly, valorized. This will hamper students in understanding why the vast majority of feminist historiography works in a broadly materialist way and at the same time is fully aware of the complexities and limitations regarding ‘how to know’ about the past. Also, while post-structuralist thinking has been important in feminist history (although less so than Morgan's editorial emphasis implies), of at least equal importance has been the ferment of ideas and innovative practices around feminist theorizations of historiography and of modes of representation more generally. This is a meta-theoretical interdisciplinary level of activity, indeed an epistemological one, involving challenges and the formulation of alternatives to conventional ways of representing argumentation, narrative, claims-making and other aspects of the processes by which historical and all other knowledge is assembled by practitioners and presented to readers. It is arguably the most powerful contribution that feminist scholarship has made, not merely ‘to theory’, but concerning the reformulation of what theory is seen to ‘be’, so its absence from the Reader is disappointing. Its absence also makes invisible the actually close connections between feminist (and women's and gender) history and women's and gender studies in the academy more widely. This raises the question of what counts as feminist history and its relationship to women's and gender history, usefully discussed in Morgan's ‘Introduction’. What is lacking, however, is recognition of the close relationship between feminist thinking in discipline areas, and women's and gender studies. Indeed, women's studies and gender studies are not editorially discussed at all within the Reader. There are some puzzling oddities concerning ‘who counts’ as a feminist historian which would have made better sense had such matters been discussed. Thus Judith Butler, bell hooks, Audre Lorde and Elizabeth Spellman appear ‘as historians’ (rather than ‘names’ within women's studies more generally), while in footnotes to the ‘Introduction’, feminist scholars who do little but historical research and historical theorizing are described as sociologists, anthropologists and so on, and presented as working outside the framework of feminist history. Morgan's invocation of the reader perhaps helps in understanding this: ‘the student of history’ (p. 2) that the Reader sets out to guide is perhaps precisely that, a student (not necessarily interested in feminist inquiry except as a ‘subject’ for study among many others), located within the disciplinary frame of history rather than the interdisciplinary one of women's and gender studies. Advanced readers are likely to find much of interest in the Feminist History Reader, and acknowledging the issues outlined above is not to deny its considerable strengths. 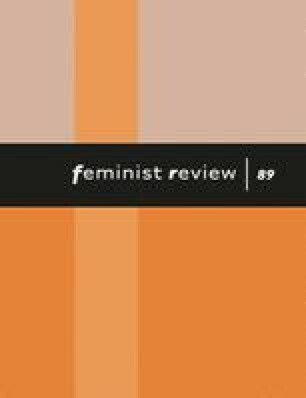 Morgan's was a difficult editorial task and the result is a stylish set of readings which will enable important issues about feminist historical theorizing to be addressed and debated in the classroom, particularly given that Morgan's editorial viewpoint on the field is discussed in such an interesting and in-depth way.